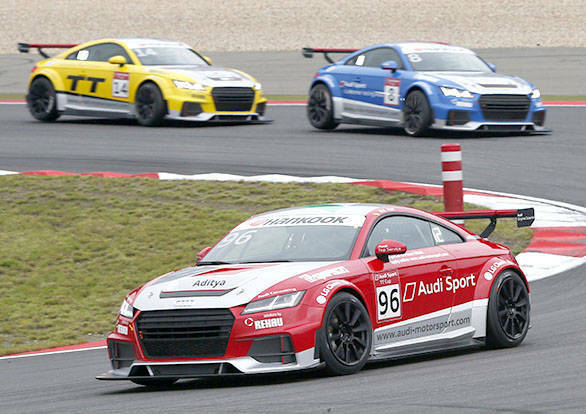 Aditya Patel took two class victories during his debut round in the Audi Sport TT Cup held at the Nürburgring. Participating as one of five guest entrants in this round, Patel started from the fifth row on the grid in the first race and managed a fifth place finish. He again fought his way to a fifth place finish in the second race despite starting from the sixth row on the grid. Poland's Jan Kisiel won both races after a double-win in the previous round. "I had a lot of fun in the two races, especially moving up from fifteenth on the grid in race two. I really enjoyed this championship - the format, the organisation, the people involved and the drivers," says Aditya Patel. Patel will now head to Asia to compete in the 10th and 11th round of the Audi R8 LMS Cup which will be held as part of the FIA World Endurance Championship on October 9 and 10. 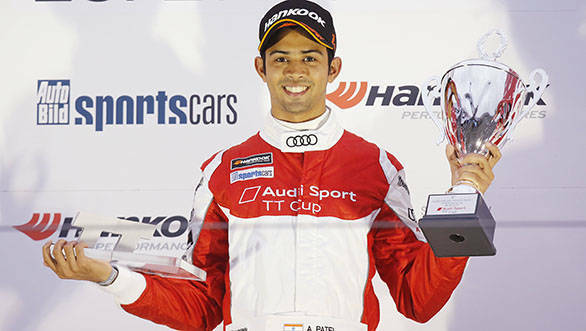 Audi R8 LMS Cup title contender takes double class victory Indian talent impresses with fifth and sixth overall Patel joins Shaun Thong for Audi Sport Customer racing Asia Nürburgring double-header Beijing, September 30, 2015 - Audi R8 LMS Cup title contender Aditya Patel made a successful debut in the Audi Sport TT Cub at Germany's famed Nürburgring circuit at the weekend, joining fellow Audi Sport customer racing Asia driver Shaun Thong of Hong Kong, who has been contesting a full season in the new series. Patel, 27, was entered as one of five Guest entrants and an impressive performance saw him take class wins in both races. Lining up on the fifth row of the grid for the start of the 8-lap opening race, Patel drove superbly to cross the line in fifth. For the start of the 16-lap Race 2, Patel had his work cut out from his sixth row grid position, but fought through the field to finish sixth. Thong's performance sees him lie ninth in the championship classification with two rounds to go of the inaugural Audi Sport TT Cup season remaining. The 19-year-old showed notable consistency by collecting points in nine out of the ten races so far as well as a spectacular double pole and victory at the Norisring earlier this year. Joining Patel on the podium after Race 1 were former rally pro Niki Schelle and journalist Guido Naumann of Germany, while Playmate Doreen Seidel and Matthias Malmedie took second and third after race 2. Overall victory in both races went to Poland's Jan Kisiel, following on from his double victory at the earlier rounds at Oschersleben and making him the hottest candidate for the Championship title. "I had a lot of fun in the two races, especially moving up from fifteenth on the grid in race two," said Aditya. "I really enjoyed this championship; the format, the organisation, the people involved and the drivers." After a triumphant debut in the Audi Sport TT Cup, Patel heads back to Asia for Rounds 10&11 of the Audi R8 LMS Cup which will be held as part of the FIA World Endurance Championship on October 9 and 10. Thong will also join the Cup in Japan, racing for the second time this season. As the penultimate rounds of the 2015 season, the Japan double-header will be crucial to Patel's changes of clinching the championship in his debut season.